Yet people who don't understand that the dose makes the poison are a perfect target for the alternatives to medicine supplement industry, and no legitimate biological field (in this case mitochondrial activity) has been more abused by the supplement industry than when creating antioxidant mythology. It is absolutely accurate that reduction and oxidation are vital to cellular energy, it is absolutely wrong to think that just preventing oxidation is the key to longevity and health. Yet it still goes on despite 60 years of not passing scientific muster. That is why supplement salespeople will be thrilled that a presentation at the American Society for Biochemistry and Molecular Biology annual meeting is helping them out by claiming that vitamin C reduces harmful effects from hexavalent chromium. 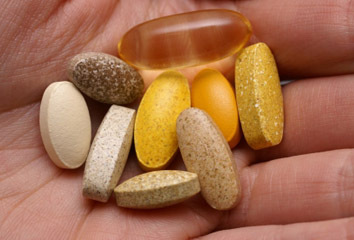 They need some help, because a different study just released found that taking supplements hurts most people more than it helps. The study was only in cell cultures, and there is a reason those should have the word EXPLORATORY splashed in red across every page or slide, instead of getting press releases. The press release notes that hexavalent chromium Cr6) is common, and that is accurate, but then claims water is "contaminated" with it, which is emotional verbiage designed to appeal to outlets like The Guardian(1) but is meaningless in a world where we can detect chemicals in parts per quadrillion. You name a common chemical and fund the analysis and I am 100 percent certain I will find it in water. That does not mean your water is "contaminated", unless you also worry that your water has urine in it from a Neanderthal 50,000 years ago (it does, even in America) and is likewise contaminated. It simply has trace levels. The press release invokes Brockovich, which is perfect signaling for partisan journalists and the supplement community, but fail to note that the town of Hinkley, California had no greater instances of cancer or any other disease. PG&E simply paid $315 million in a settlement because PG&E knew the science was going to be irrelevant when trial lawyers rolled out every ill person that ever lived there. It is now a ghost town because of the cultural stigma, not a chemical and poor people continue to pay America's highest utility costs so lawyers can buy yachts. Alleging that 200 million people are at risk and suggesting green tea might save them is bordering on fraud. FDA Commissioner Scott Gottlieb accomplished many things running the organization but a hoped-for reining in of the supplement industry never happened. If it did happen, academic groups would not be inspired to claim this stuff. The study used cell cultures and got effects for both cell types at 200 parts per billion (ppb) and further claimed that they blocked these effects with vitamin C at 10 parts per million (ppm) and epigallocatechin gallate at 15 ppm. There is a reason that sounds too good to be true. If you are claiming an effect in parts per million to offset malady in parts per hundred billion, you have left the land of science and entered the world of homeopathy. Homeopathy sales groups will be just as happy as the rest of the supplement hucksters are reading that. When hazard standards were created, parts per million was the best we could detect so anything below that was zero. Just like with cell phones and frozen food, things have gotten a lot better since the 1950s and now we can detect things 1,000,000 more sensitive than back then. But just because we can detect something we once could not does not make it harmful. If it was harmful then as suspect cell cultures claim it is now we would not have to ask an obvious question. In cell cultures, almost anything can cure or cause a disease. Cancer has been cured 10,000 times. But cell cultures are not valid for anything more than disqualifying harm or help for many reasons, chief among them contamination. If we were really at risk from Cr6, and could be saved from it by orange juice, about 200 million Americans would have died before this study came out. Instead, there are none. Not even in Hinkley , the town that made hexavalent chromium a target for trial lawyers. (1) Which have been shown to be taking money from anti-science groups and their trade group allies conveniently before they let organic industry trade group reps write op-eds there. They even carry science op-eds from Brockovich, even though she is a legal clerk, so they may be getting donations from trial lawyers as well.